Tui2Tone Flat Admin at tui2tone.com is a device-agnostic, modern responsive design that is customizable. It's designed to work well on desktops, laptops, tablets and mobile phones. 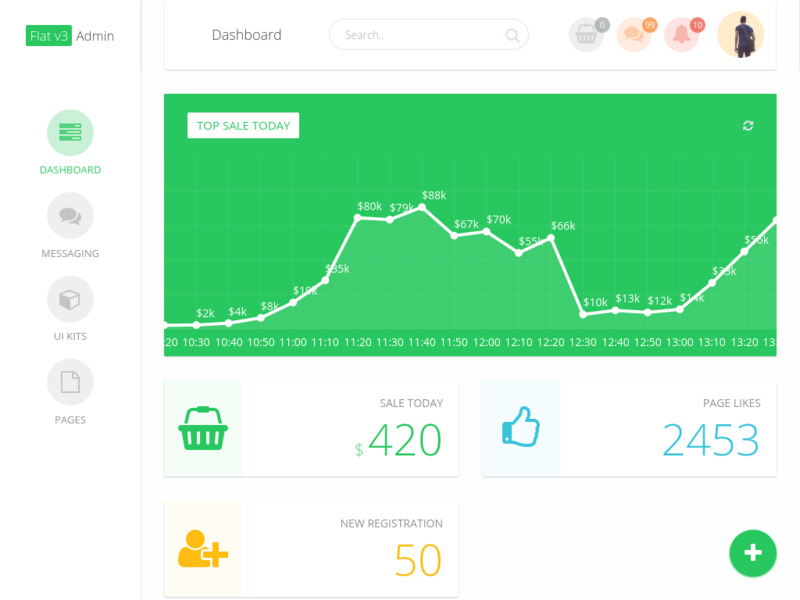 Completely free Bootstrap admin templates built with Bootstrap 3. This theme includes pricing tables, charts, cards, steps, form elements, data tables, alternative page layouts, login page, landing page. Built with Coffeescript and SASS.